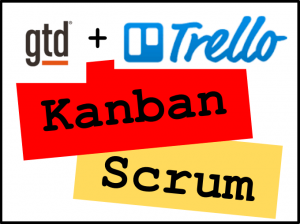 The following 5 steps are loosely built on David Allen’s GTD system, and the workflow utilizes elements of the Scrum and Kanban frameworks often used in Agile software development. While this article is based on this board in Trello, there are plenty of other options like Evernote that I’ve found equally useful as tools to manage the process. This is the process of capturing the thoughts currently in your mind and those that you encounter throughout the day. The goal here is to quickly get these items off your mind allowing you to return focus to your current activity. Throughout the day, add any new “stuff” (to-do’s, commitments, ideas, etc.) that you encounter to the “Inbox” column of your Trello board (using the Mobile or Desktop App). Again, feel free to copy this example I created in Trello if you find it useful. Developing a habit of immediately capturing each item you encounter is imperative to making the process work. Don’t overthink how you describe each item. Do it quickly and move on. You will clean these up later (see Step 2). When you encounter items that can be completed very* quickly, complete them. There is no need to add these to the Trello board; it’s more efficient to complete and move on. Immediately and throughout the day. 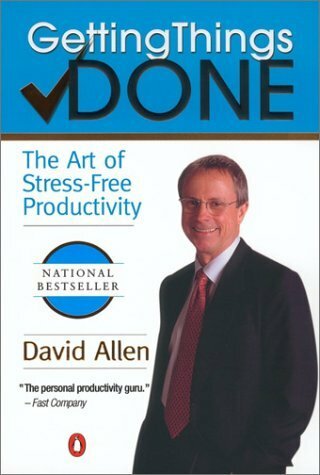 *David Allen recommends 2-minutes as a good rule-of-thumb for completing these items. This is a time you dedicate each day to processing and organizing everything you’ve captured in step 1. It’s when you empty your “Inbox”. Step 1 is quick and dirty and may not result in clearly defined items. Process is simply a step to review and clarify each item in your “Inbox” and determine when you might want to do it. After Processing, once the item is clear and you have an idea about priority, choose one of these 3 options: (1) Move the item to the desired column, (2) Move the item to your **Reference System or (3) ***Archive the item if no longer interested in doing it. The “Someday/Maybe” column is reserved for items that you might want to do sometime after the current quarter; the other columns should be self-explanatory. This should happen at least once per day. Some find it helpful to perform it twice daily – morning and afternoon. **A Reference System should be strictly reserved for non-actionable information. I’ve used OneNote and Evernote; both work great. ***Archive is a Trello function for removing (but not deleting) an item from your board. Move the items you’d like to work on before the end of the day to the “Today” column. Tip: I also do 2 other things during the Daily Review that may be helpful. Read all new items in your e-mail Inbox, add any tasks, follow-ups, etc. (anything actionable) to your Trello Inbox and add any reference material that you may want to keep for later into your Reference System. Consolidating actions in one place (Trello) and having a clear e-mail Inbox daily (w/ no unread items) was key for me in making this process work. Uhh… Daily? Yeah, I guess that’ll work. I personally find it helpful to perform the Daily Review immediately after Step 2, but they are independent processes. ***The “Waiting For” column is reserved for actions that you’re waiting on someone else to complete or get back with you on. Example, if I email John and need his response before I can take my next action, then I would place that item in the “Waiting For” column. Reviewing the “Waiting For” column is optional in the Daily Review as long as it is reviewed weekly (Step 4). This is a time dedicated each week to review the entire board (except for “Someday/Maybe”) to make sure nothing’s out of place and to plan your work for the upcoming week. Archive all items in the “Done” column. Move items from “This Quarter” that you’d like to work the following week into the “This Week” column. Weekly! Come on; you knew that. I’ve personally found it helpful to perform the weekly review at the beginning (Monday Morning) or ending of the week (Friday afternoon or the weekend). This is a time dedicated once per quarter to review the entire board (including “Someday/Maybe”) to make sure everything’s in order and to plan your work for the upcoming quarter. Review items in the “Someday/Maybe” list. Consolidate, clarify or archive each item. Move items that you’d like to work on in the following quarter from “Someday/Maybe” to “This Quarter”. I would do this quarterly because THAT’s WHEN YOU PERFORM QUARTERLY REVIEWS FOR CRYING OUT LOUD!!! I typically reserve a half day to a full day for my Quarterly Reviews and usually shoot for a day at the end of the current quarter, or beginning of the following quarter, wherever it’s easiest to carve out some time. And, that is a wrap! Please leave comments, questions and corrections in the comments below.